I'm about to hit the slopes in a month and a half and I can't wait! Since I'm not really a good skier I have to look good to compensate the lack of talent. But, I don't want to stand out to much either. How to look good while wearing (oversized) ski pants, big ski boots, even bigger hand gloves, a warm but functional jacket and a beanie (OK, this one is actually quite fashionable)? Oh, and do not forget the thermal underwear. I try to go for the boardchick-cool (like surf-chick but in the snow, and by the way I don't do snowboarding since I'm already quite happy to manage skiing somewhat). 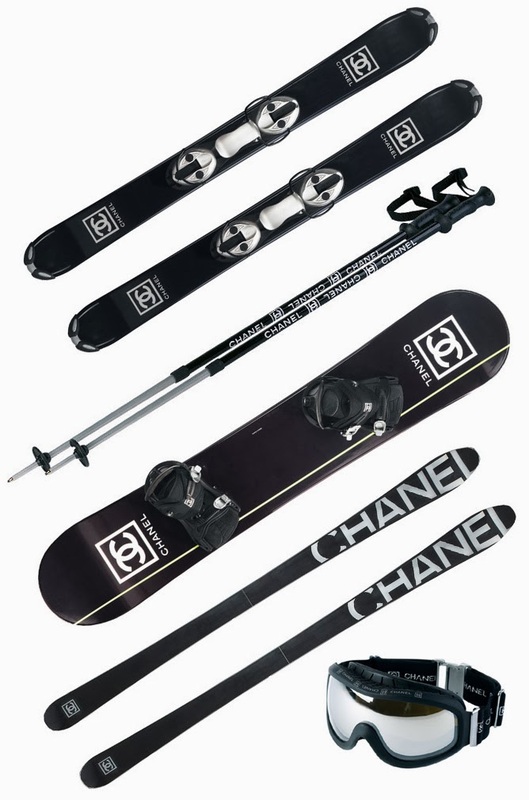 Of course real board- or ski chicks also have their gear to show off but since I've got to go with rentals I won't go there. Try to look fashionable using accessories like (mirror) sunnies and ubercool beanies. And don't forget to dress nice underneath your functional ski jacket since you're most likely to get involved in some après-skiing too (no lack of talent here). At least I will. And than I always have my handsome man who is a great skier and looks good too (you've got to hate the cool kids). Are you going skiing this year?